The Church is the Body of Christ. The Church is also people…and people are broken. We get it wrong in a great many ways. 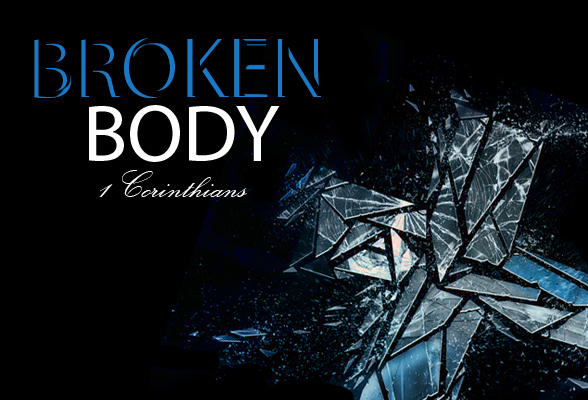 The Book of 1 Corinthians is a glimpse into a Broken Body. The saints at Corinth look a whole lot more like the sinners at Corinth. They are divided; they are immoral; they are selfish. Looking at the brokenness of human sin can be depressing. But the book also gives us a glimpse of a different broken body – the body of Christ, broken for us. The hope for sinners is Christ. Our hope is in his atoning work, not our own righteousness. This makes what could be a rather depressing book a wonderfully encouraging one instead.